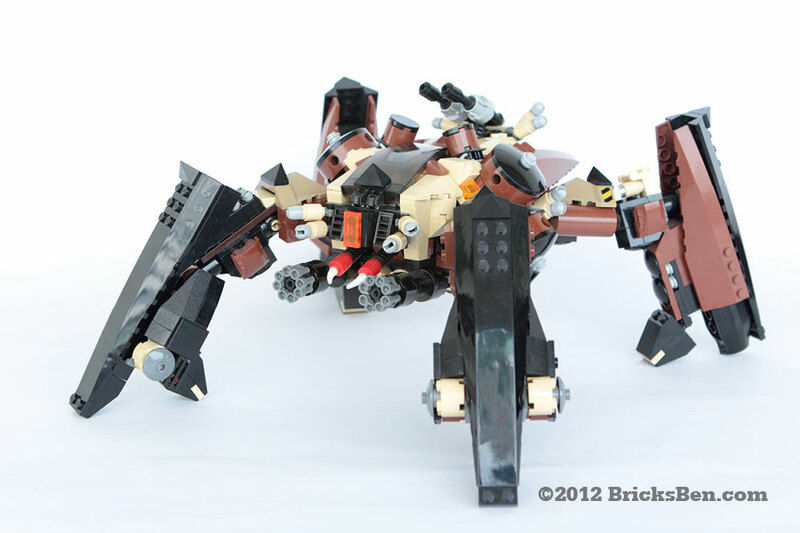 Enter the DGA (Desert Ground Assault) “Diguetia” D66 – a desert tarantula that’s literally armed to the teeth. The two 100mm cannons on its back unleash a lethal web of anti-air missiles, which is matched by the fearsome firepower at its fangs – a pair of futuristic Gatling guns. Concealed in the front legs are anti-infantry missiles for close combat and urban fighting. Like a spider, its leg boosters can fire short bursts to make a quick getaway. More Mecha Warriors: Barch, Black Hawk, Hotten, Pachyderm and Roach.